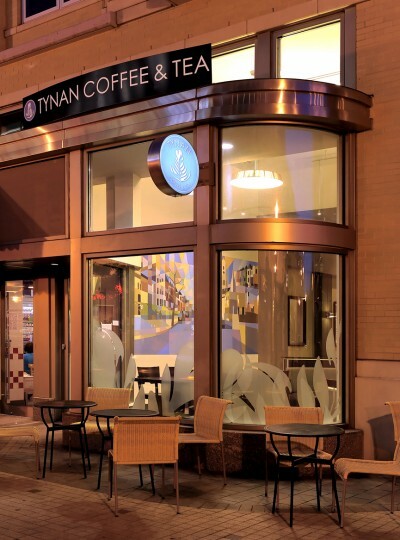 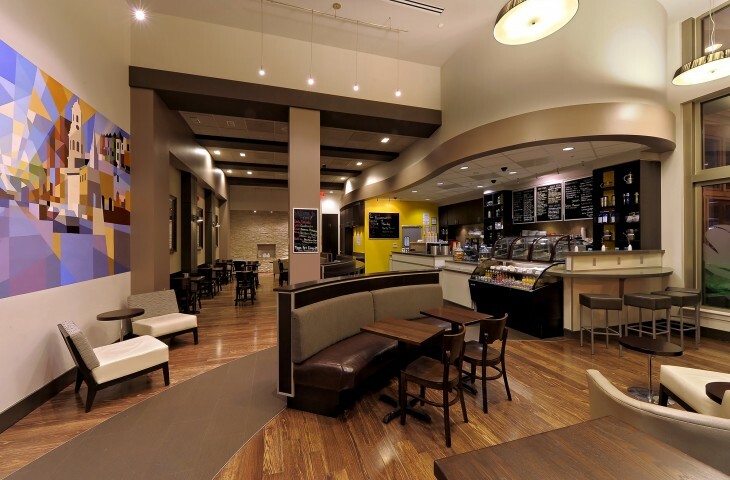 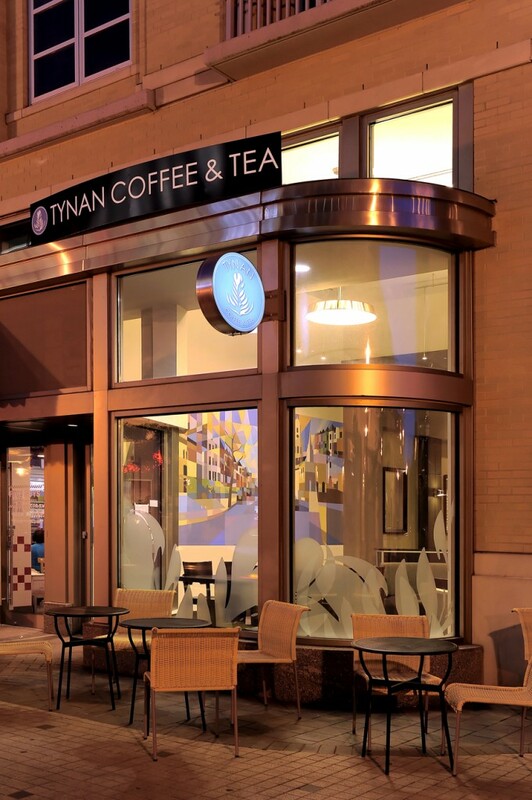 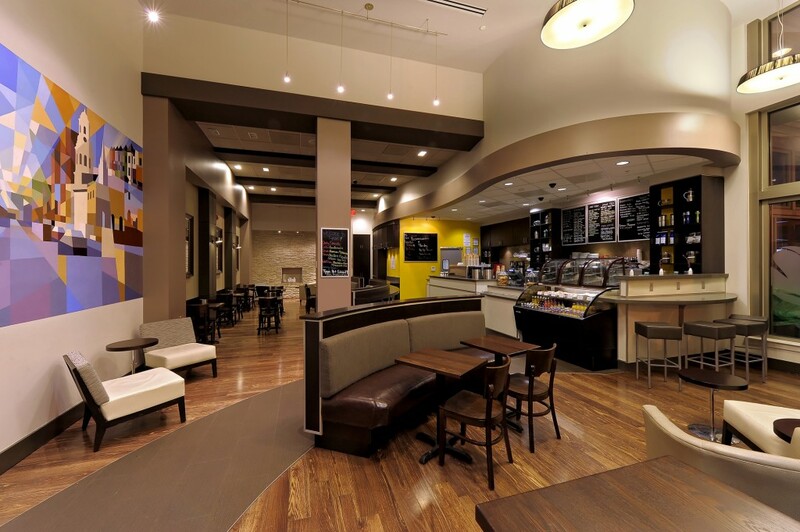 The locally-owned, 1,700-square-foot Tynan Coffee and Tea shop includes café and lounge seating plus an outdoor patio. 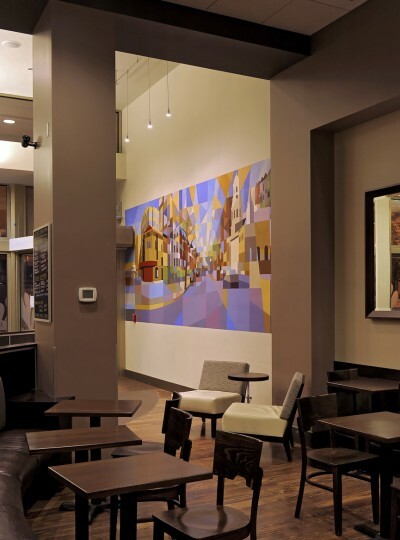 To encourage good flow and circulation in the long, rectangular-shaped space, GTM Architects designed curved walkways and low-profile seating areas to keep the space architecturally dynamic and open. 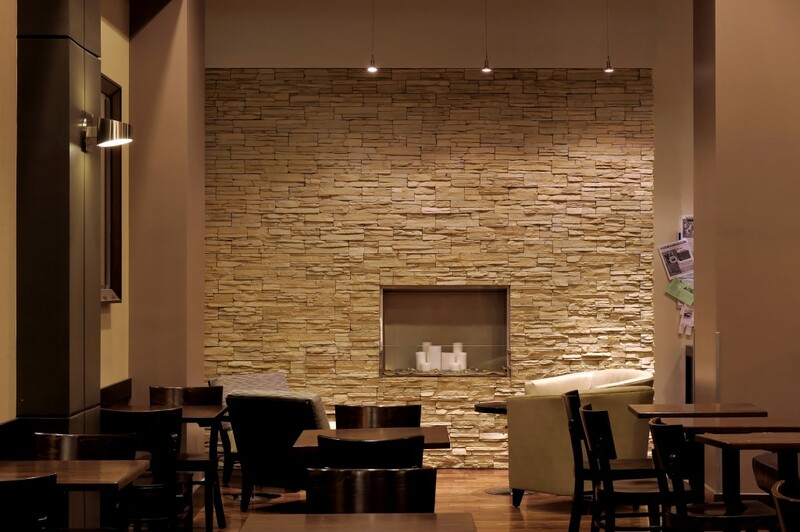 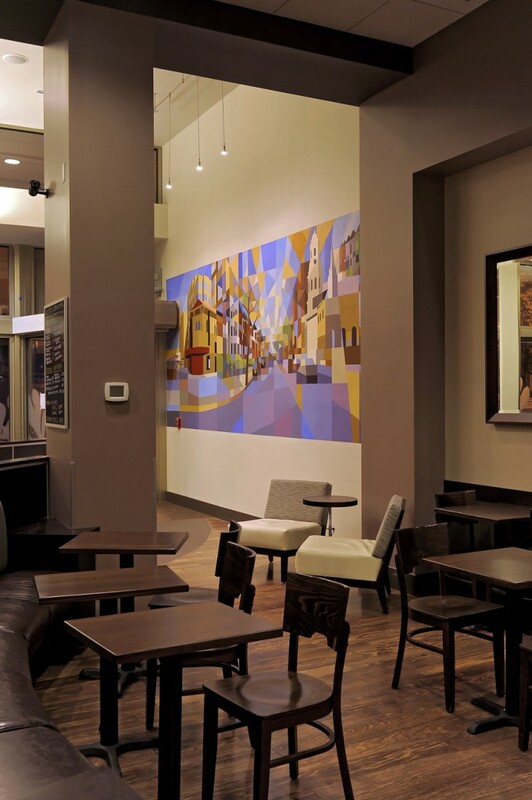 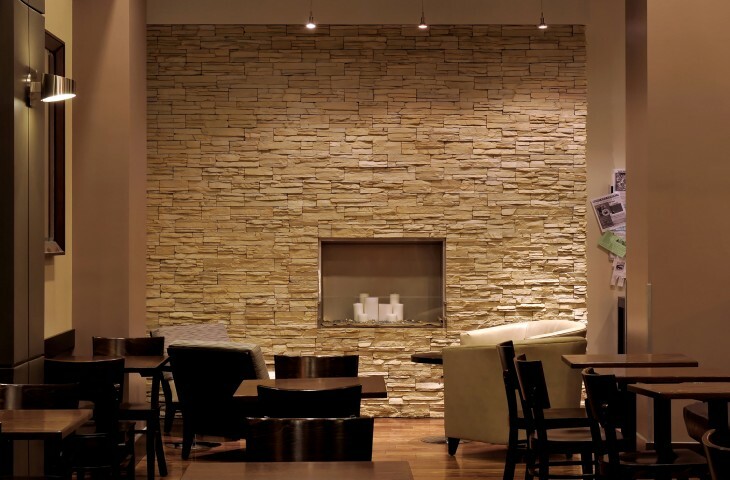 The lounge’s eco-fuel fireplace and the overall high ceilings and wood flooring create a bright space that is also enriched with an artist mural of Washington, DC.